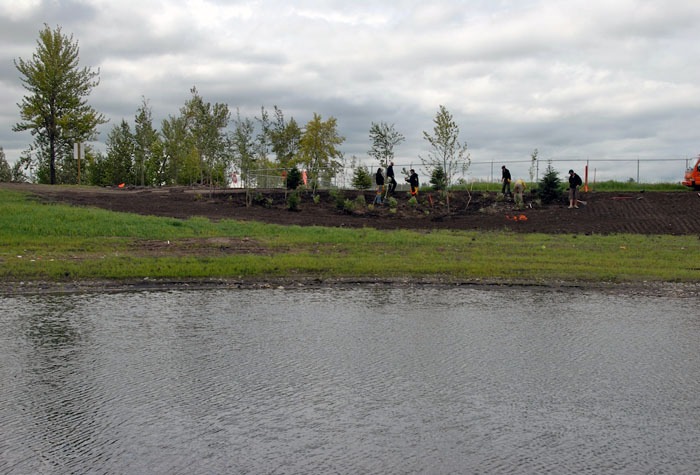 The Burnsmead project is one of the City of Calgary stormwater quality retrofit projects. 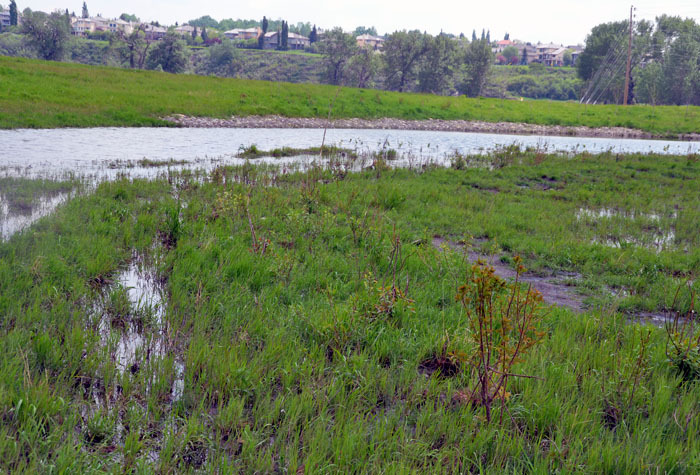 It treats stormwater from a developed area that was previously being directly discharged to the Bow River in a reach of significant trout habitat. Ecological restoration was an important aspect of the design. The chosen site had a history of use as grazing/haying land and was predominantly Smooth Brome meadow (a non-native persistent grass). In addition to wetland and riparian habitats at the centre of the site, the project created an extensive native grass upland area with contextually appropriate shrub and tree thickets. 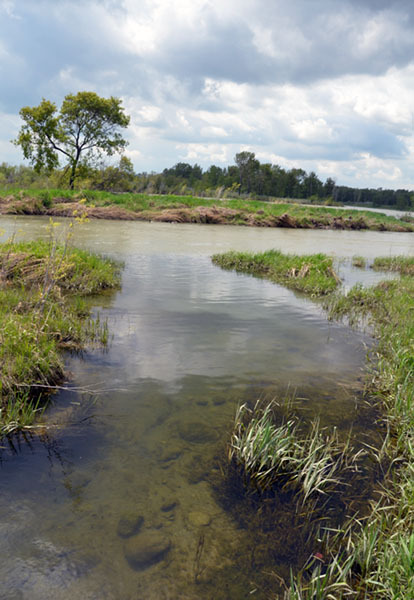 After suitable treatment, the stormwater is released to a created outlet pool and stream that provide valuable habitat for trout fry being connected but somewhat isolated from the mainstream of the river.